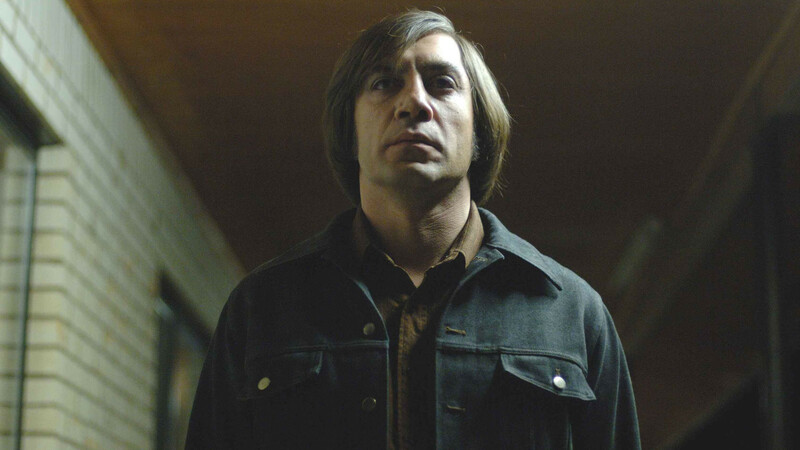 One of the Coen Brothers’ most popular works, and with good reason, No Country for Old Men opens up as a dark-hearted thriller with a suitably soul-churning slow-burn style and some stunningly subfuscous cinematography from long-time Coen Brothers collaborator Roger Deakins, and concludes as a burning bullet into the American soul and a deliberate, deeply textured dissection of Western iconography and the myth of the American Dream. For all its thematic heft, it’s an astoundingly sensory motion picture, where theme and content merge with form, and style becomes substance; every image and sound, no matter how slow and cavernous, coalesce into an abominable whole that attains a sort of lurching, poisonous, unspeakably despairing propulsive forward movement. It’s an indefinably visceral motion picture, the kind that feels humanity’s worst sorts in its very bones, and it sits back and shakes its head with a sense of hopelessness. For everything crawling under its skin, it never feels obtuse or over-written, and looking back on the 2000s, few cinematic achievements find craftsmanship so pure and perfected. The Coen Brothers are a well-traveled sort. They have done all manner of things with human selfishness and the moralism of past guilt. They’ve psychotically analyzed it in Barton Fink, torn it to bits in Blood Simple, arranged a playdate with it in Raising Arizona, and coated it in a most oppressive snow with Fargo, the kind of white hellhole that exposes humanity’s best and worst, and how the two often aren’t so different, without remorse. But they have never been stricken empty and made speechless. Their 2007 meditation (more like a mourning) on violence, justice, morality, goodness and badness, and above all the American imagination, achieves exactly that, manifesting a battleground of order and chaos seen most fully in the darker places of the impenetrable shadow sneaking up on the fading crimson sun and catching it unawares. The Coens catch a man in the middle, torn between stepping backwards into darkness or chasing the light, at which point they do the only thing they can do: strand him there, knowing that the light has seen its last days, and that the wound the shadow inflicted has gone too deep. For America’s greatest cheeky moralizers, the thought that they have nothing left to do but stand back in fear, the thought that they have no perspective to grant on that which unfurls before them, is the scariest thought of all. Two of America’s most persnickety poets adapting another writer’s work is, at minimum, cause for caution. Something about it simply causes the ears to perk up. Probably because adapting a much-appreciated non-cinematic text is cause for laziness and the sublimation of the filmmaker’s perspective to the author’s. This tends to leave the cinematic aspects of the film toothless and lost amidst the sideways scramble to “capture the author’s message” and focus on the written text instead of film’s unique ability to tell stories through a particular melding of visual composition and tempo. In general, it is worthwhile for films to be films and not the ugly stepchildren of books. However, No Country is a brutal and jagged-edged reminder that cinema, when it eschews the typical path of directing “down” to its text and instead uses the visual and aural to explore the text’s nooks and crannies, breathes new life into an old favorite. Cormac McCarthy’s famously un-filmable writing has actually proved an uncanny boon to the Coens by giving them an unexpected gift: such textual obtuseness and difficulty that, rather than attempting to struggle with the book’s text, the only sane decision becomes much more preferable and obvious: don’t even try, and use the essence of the book, and not its specifics, for the skeleton of a uniquely cinematic vision. They retain the basic outline – the story of Llewelyn (played by a typically mustachioed Josh Brolin), who, after wandering upon a briefcase filled with two million dollars (thems 1980 dollars too), finds himself the prey of ruthless hitman Anton Chigurgh (Javier Bardem), as well as venerable but weary sheriff Ed Tom Bell (Tommy Lee Jones). But the specifics are uniquely the product of the two-headed director washing themselves in the text’s broad strokes and emphasizing the forest at the necessary loss of the trees – they “feel out the text” more than they analyze it, and the results are wonderfully expressive, heightened cinema. Certainly, it helps gangbusters that they’ve whipped up a down-and-dirty screenplay to aid their vision along. It’s a work of quiet moments that attain a critical mass, filled with little, intricate details (the chillingly unstated bit where Chigurgh checks his shoes as if for blood after he either kills or does not kill a victim tells us everything we need to know about their fate with the least possible amount of time and energy to get there). The core of the screenplay is the antithesis of most adaptations. While many writers tasked with massaging a movie out of a written text leadenly ask how much they can give us, the Coens ask how little they need to tell us to get everything across to us, and the end is a film of stripped, minimalist authenticity to fit its unspoken characters. It’s a muscular work of storytelling that looks into its character’s heart not through how they emote but through how they don’t emote, and how society has fashioned them not to emote. It’s a downright savage, cruel screenplay, a work that streamlines the essentials so as to leave plenty of precious space for the empty places of the world and the human consciousness. It lets slight, graceful, almost indecipherable details tell all. This is plenty of space, it also turns out, for beauty. Right from the beginning, the Coens rein in theme and tame pontification in the fiery, primal elegance of their visuals. Deakins achieves the lion’s share of the success here, teasing out the finest and most breathingly dark playgrounds of Western iconography since Eastwood curated in his revisionist Western opus Unforgiven. He emphasizes light and darkness and frequently catches Llewelyn off guard in between them. Shots of darkness inevitably overcoming the subdued light of the desert mirror the transitory position of hope and safety and the perpetuality of greed and selfishness combing over selflessness and humanism. The only truly bright lights aren’t those of the natural sky, here rendered as an oppressive force capable of running men mad and showing no quarter in their quest for wealth or justice. They are instead the lights of eyes or flashlights attempting to break through the darkness. Such lights reflect glimmers of hope for the characters, but their very position reflects the omnipresent darkness which the characters inhabit. It’s not for nothing that the film’s most famous scene is a shootout that plays almost like a battle between light and dark, and in fact thematically centers the two in light of the two characters at war, one fully submersed into the order of darkness (Chigurh) and one teetering between darkness and the light (Llewelyn). Since Chigrugh quite literally invades the light in this scene, the fact that Llewelyn must hide in darkness, and must enter Chigurgh’s world, to escape him signals a much more dramatic thematic character shift than we might think. Deakins has too many films behind him, and he gifts us (curses us) with a poetically haunted vision of the world here, the kind that scares us but makes for sheer movie magic in its reflection of how we imagine the world in our nightmares. It’s almost impossible to evaluate his greatest work (his mythic detail on The Assassination of Jesse James by the Coward Robert Ford alone makes the debate over “best Roger Deakins’ cinematography of 2007” a dangerously uncertain call). But No Country is a mighty call indeed, a shadow-play of utmost potency. The interplay between cinematography and character also begs the question of character, and how the Coens us their characters (and have often used their characters) less like people and more like squishy physical spaces interacting with the environments around them. Played by Javier Bardem with a rattlesnake-like wind-up followed by the strike of a viper, Anton Chigurgh is the greatest of all the Coen Brothers devil characters. Here he’s rendered with an impenetrable coldness and a sense of unmoving order to his actions. He’s defined by a clinical rigidity most fully given to his privilege in shots; he almost always occupies the center of the frame, organized in the camera as he is in life. His “coin” trick, his act of deciding whether to kill each victim as the sum result of a coin toss, disconcerts not simply because of the violence which follows, but because it forever links him to an implacably arbitrary moral order. Many have compared Chigurgh to pure chaos, but his nihilist moral philosophy of raw chance and coercion is more complex, forming a slithering, naughty ordered chaos that does not simply strive on the arbitrary, but needs to legitimize its arbitrariness and sand off any rough edges. For him, the calling card of the coin toss is an order, and his last victim in the film is so potent because they threaten that order by forcing him to confront how arbitrary it truly is. He believes in order, but his own order, and asserts it onto the traditional order proposed by Jones’ Sherriff. Both entrap Llewelyn in a vise he is unable to break free of, forcing him to flop around in a truer form of chaos as he sloppily flubs around the two highly ordered men closing in on him from both sides. They are three myths, lonely figures out of a Greek tragedy who are not defined so much by what they do but by who they are and what state they exist within. They are created not only out of scriptural constancy but visual consistency in a perfect melding of form and subject. The hyper-constructed world of No Country, all lateral and longitudinal form (the humans often serving as strikingly upright figures who don’t belong in the space of an oppressively flat land), belies the directors’ functionally textualist interpretation of human passion. They do not so much poke at reality as build up the reality we define for ourselves in fiction, which they see as our “dream” world, and then watch this reality implode upon itself. They emphasize, and have always fallen in love with, visual order, for they see an overly-ordered world that loves to play with its inhabitants’ dreams of wealth and money and force them into breaking the rules of that world in order to get there. The Coens do not allow us this freedom, though, positing a universe of moral order that strikes back, an order that has no time or respect for humanity whatsoever. For this reason, one character’s comeuppance, depicted off-camera, affords no mercy to him; he isn’t even worth his own fate or the minutes of celluloid necessary to depict his end, for the world has other plans. It may be, worryingly, that Chigurgh is this order’s weapon of choice, and that the scariest vision of all is not pure chaos, but chaos overtaking order, and finding order in itself. Where the two come together and become indistinguishable is where Chigurgh thrives, and where no human would want to be seen. The Coens, here at their most nasty-minded and unforgivingly nihilist, blindfold us, drive us there, and throw us out, and we cannot even begin to find our way back. This entry was posted in Film Favorites, Review and tagged american nightmares, Anti-Western Westerns, coen brothers, Film Favorites, Javier Bardem, Josh Brolin, literary madness, Roger Deakins, Score: 10/10 on January 18, 2015 by jakewalters98.